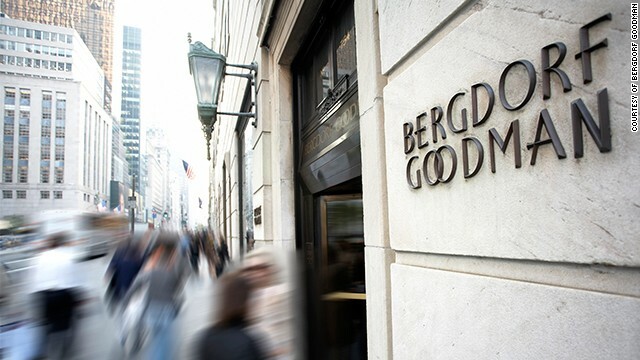 Exterior view of Bergdorf Goodman from the documentary, "SCATTER MY ASHES AT BERGDORF'S"
(CNN) - I have just spoken to one of the most influential women in the fashion world. I tried to unlock the mystery of how she decides which designers should make the cut. What an original expression of self-confidence. Trust your "covet radar." It’s more complex than that, as you’ll hear. But that quote gives us a little window into Linda Fargo. Fargo is the head of women’s fashion at the fashion mecca, Bergdorf Goodman, 5th Avenue in New York. She is featured in the new film “Scatter My Ashes at Bergdorf Goodman” – which is sort of an ode to a place where fashion lovers worship. Fargo has a very hard job. She and her team are the “daily filter for the knocks on the door” from talented, hungry fashion designers who want to break through the clutter – break through the noise – to enter the coveted space of Bergdorf Goodman. The chief fashion filter of such a space has to say no, a lot. Which is not pleasant. But, as the psychologist Michael Thompson recently reminded us on CNN Profiles, what we say no to helps define us. And it helps define a brand, whether it’s the clothing you say no to in the fashion world – or the stories you say no to in the news world. No defines us as much as yes. Now, when Linda Fargo says yes, watch out. Her determination becomes clear when she reflects on what drove her from her upbringing in a town outside Milwaukee, where she grew up with two parents who had a deep appreciation of art – to the pinnacle of New York fashion. And so she went. After college, her clothes stuffed into two large garbage bags, she crossed the 59th Street Bridge into Manhattan and never – or hardly ever – looked back. Fargo has a lot of A-ha moments. She had one about six years ago when she saw a show by a young fashion designer named Jason Wu. She and her team grabbed Wu and made space for his collection at Bergdorf’s. One more thing about Linda Fargo, before you listen to our conversation on this CNN Profile by clicking the big play icon above: There is an important life lesson to take away from Fargo’s definition of no. No, Fargo tells us, can mean “no for now.” It can mean “we wanna follow you, we wanna see you, please feel free to call me next season when you’re ready again." Maybe that’s what’s so uplifting about fashion. There’s always a next season.